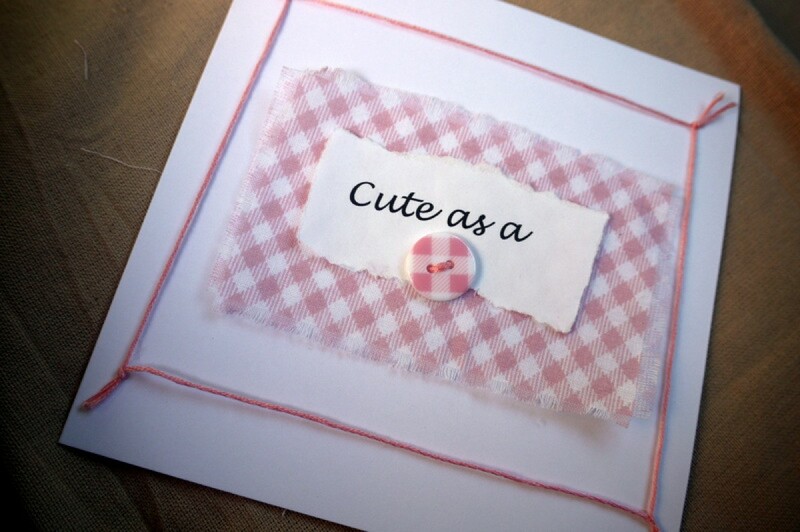 Make this adorable card to give to new parents. 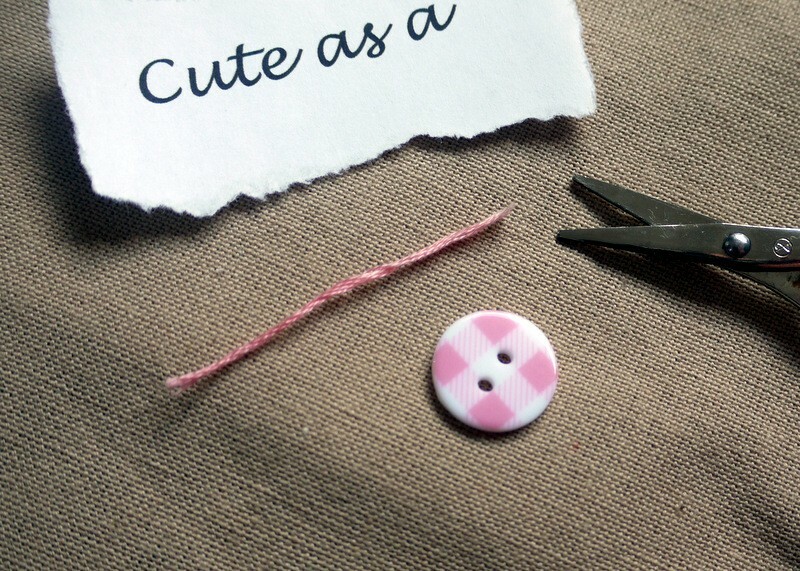 It can be customized with any pastel color. 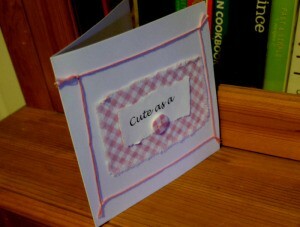 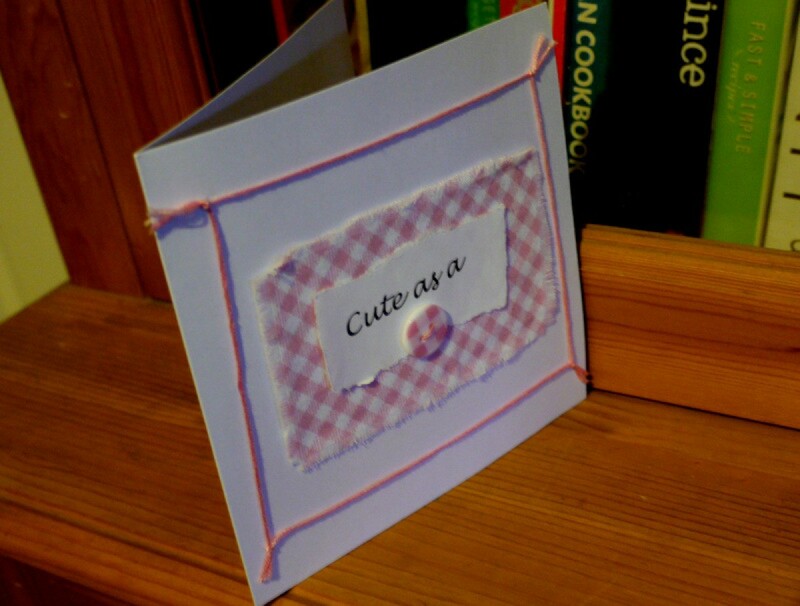 This is a guide about how to make a "cute as a button" new baby greeting card. 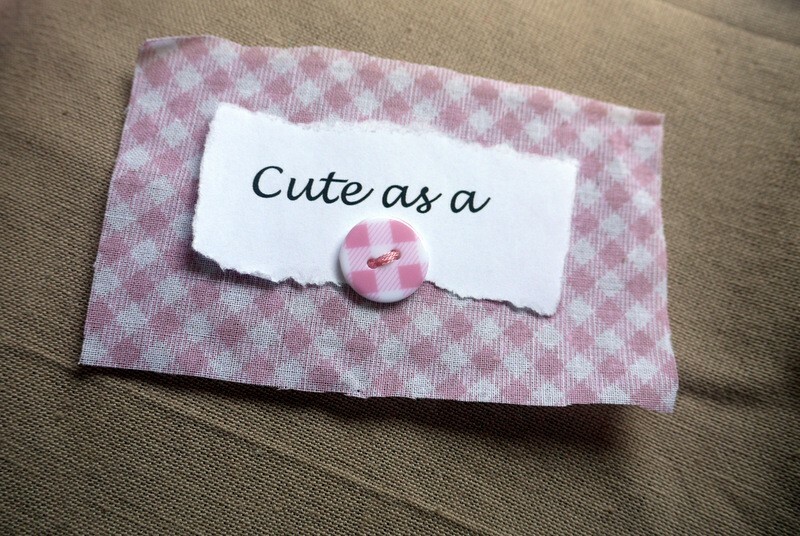 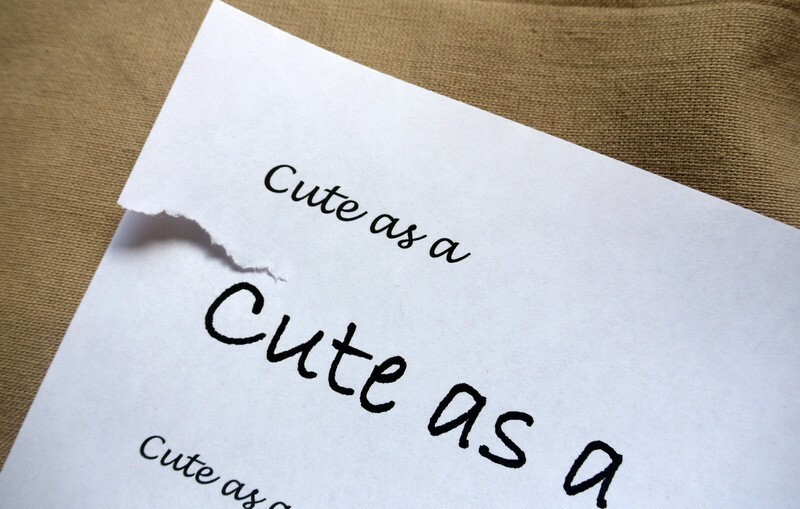 Print out the message "cute as a" several times in different fonts. 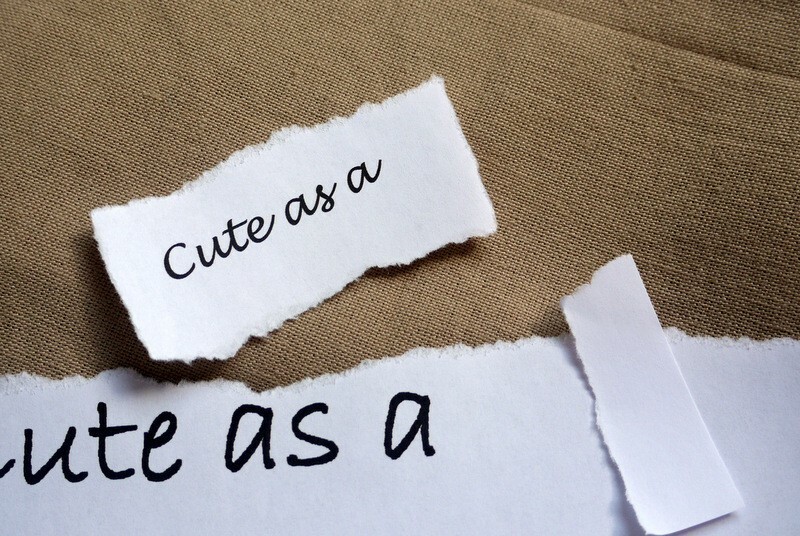 Choose the one you think will fit the card best and carefully tear it off. 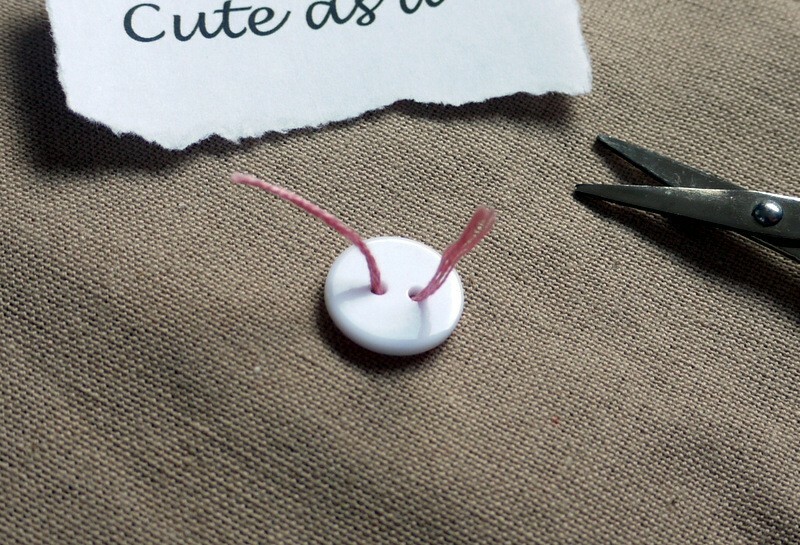 Cut a short length of embroidery thread and pass the ends through the button holes. 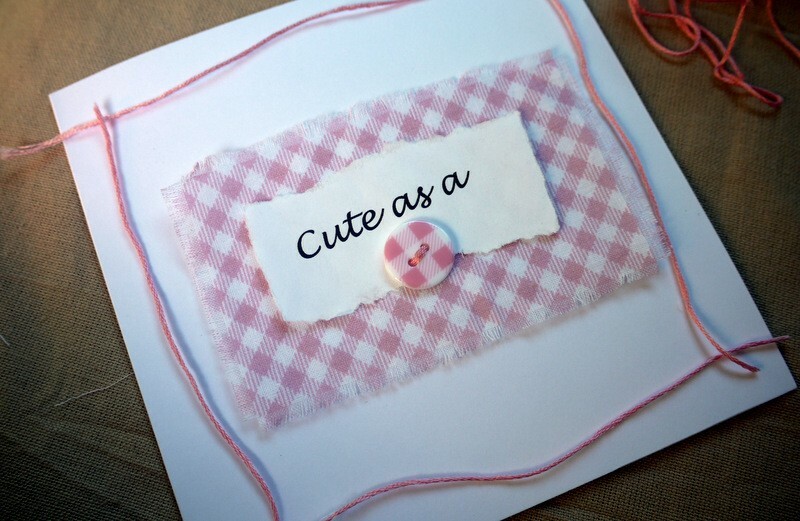 Cut a rectangle or square of fabric bigger than the message. 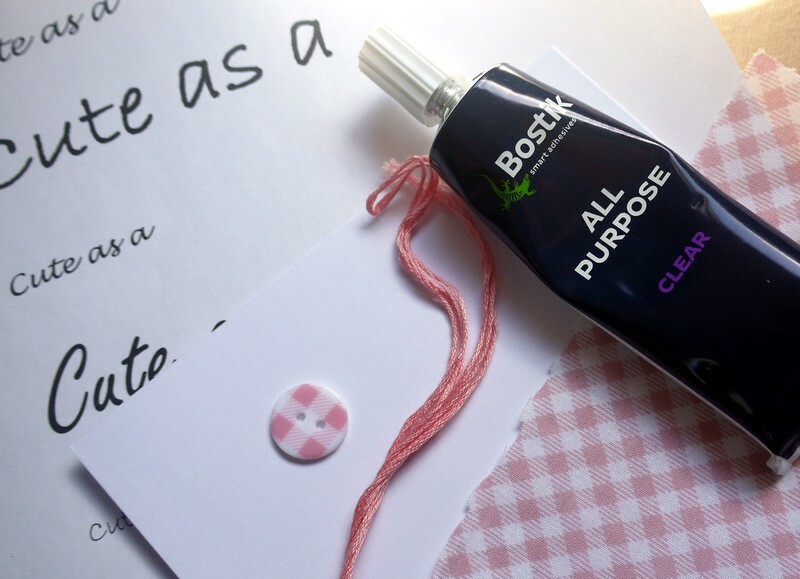 Apply a generous amount of strong clear all purpose glue to the back of the button and also to the back of the message. 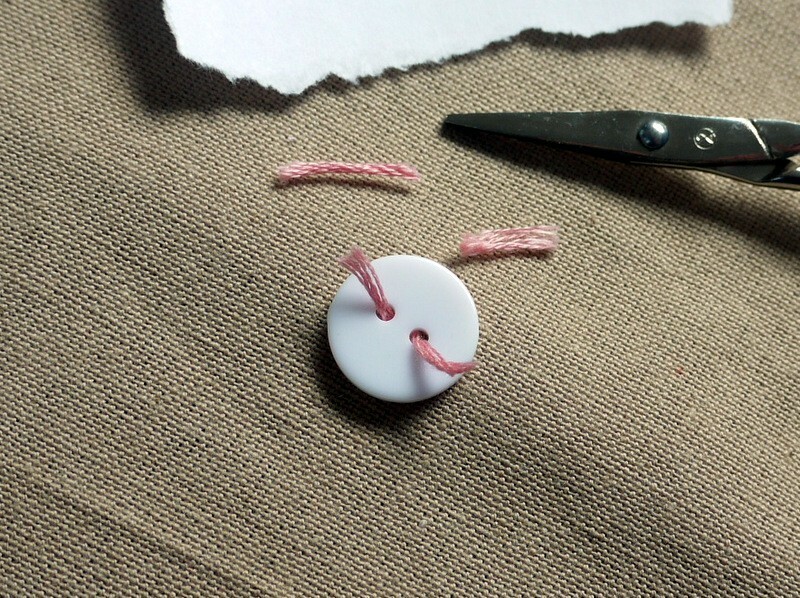 Stick them in place on top of the fabric. 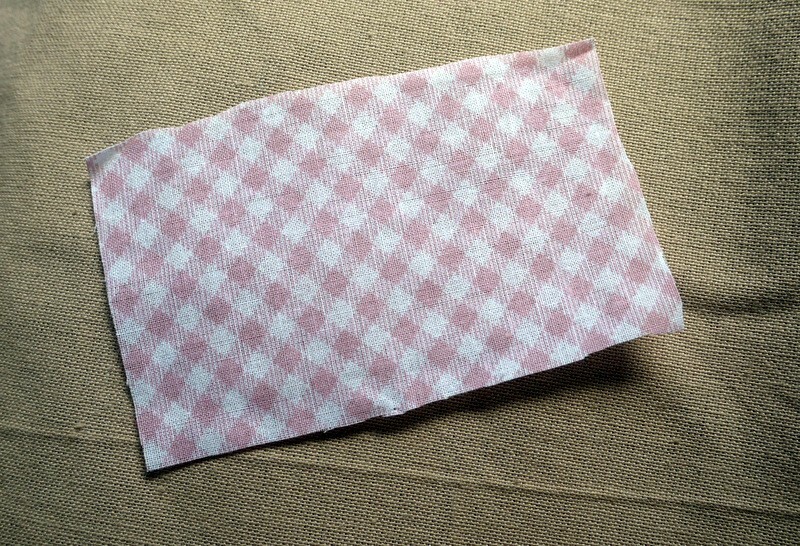 Fray the edges of the fabric. 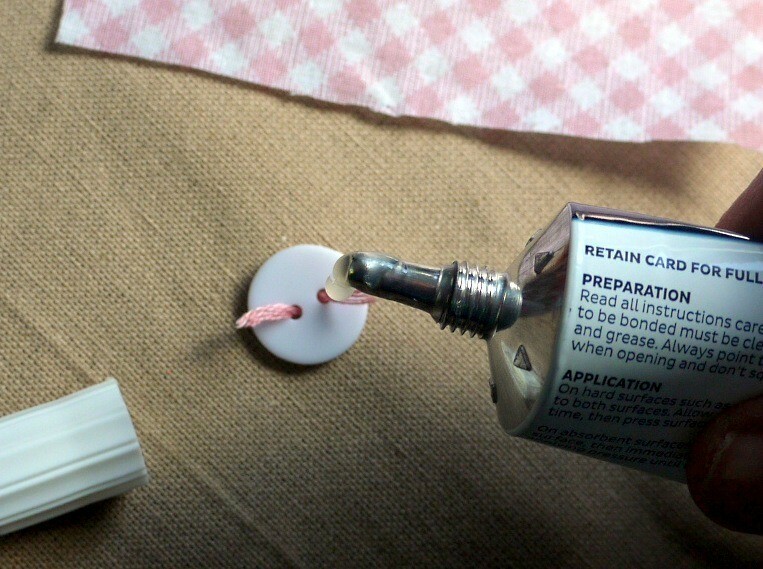 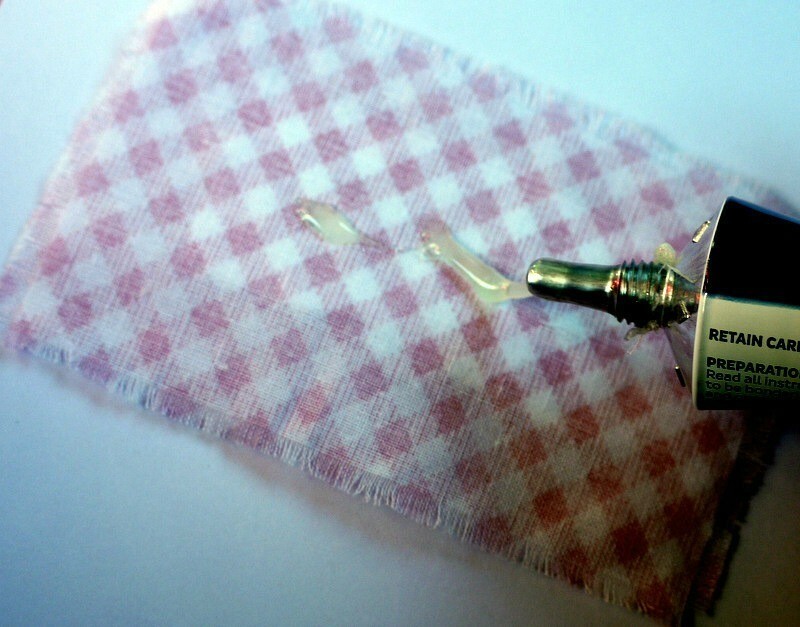 Apply glue to the reverse of the fabric in the centre. 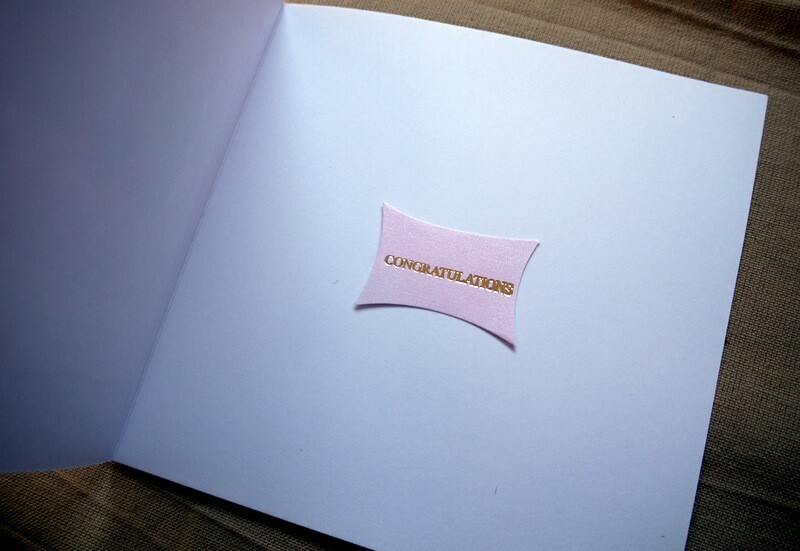 Position it on the card. 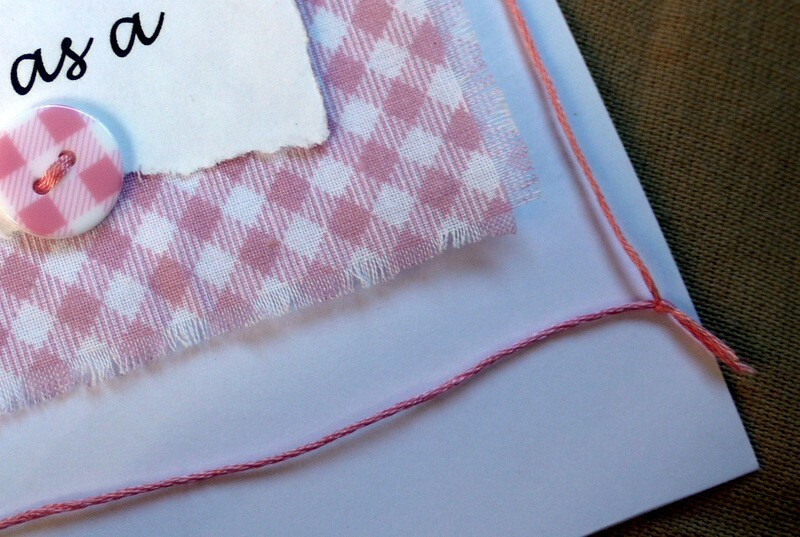 Cut 4 lengths of embroidery floss to fit around the edges of the card. 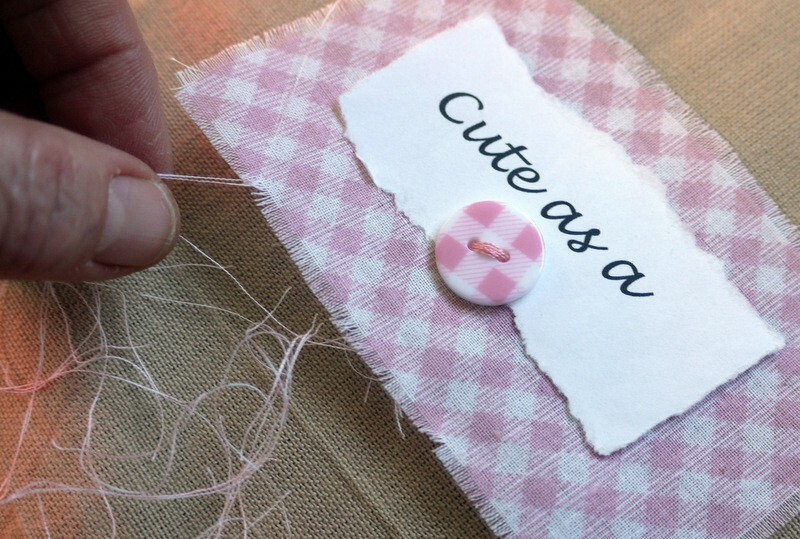 Tie them together and glue in place. 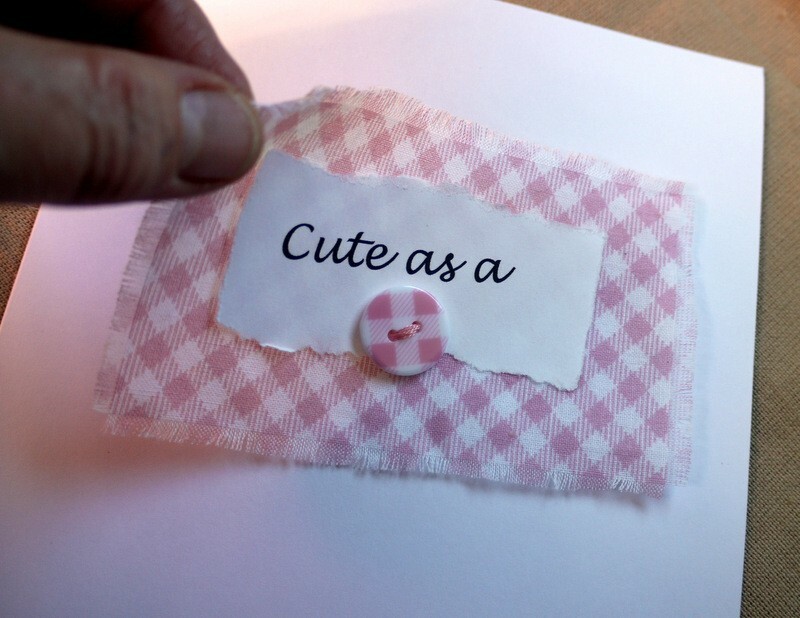 Print out a message for the inside (or use a ready made message) and glue it in place.